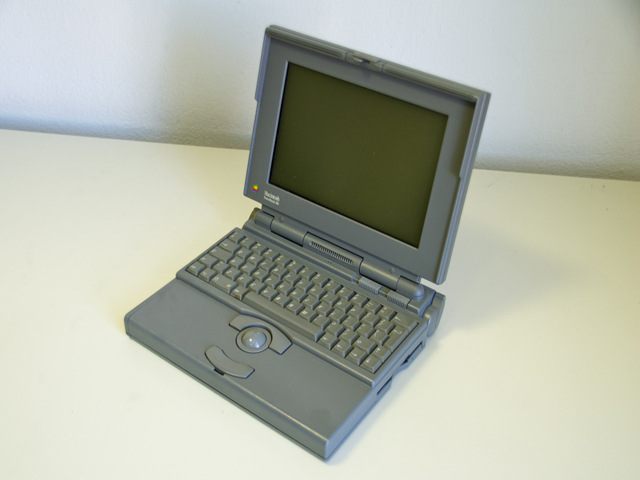 Size (HxWxD): 2.25" x 11.25" x 9.3"
The PowerBook 180 was the first portable Mac with a 4-bit active matrix display. 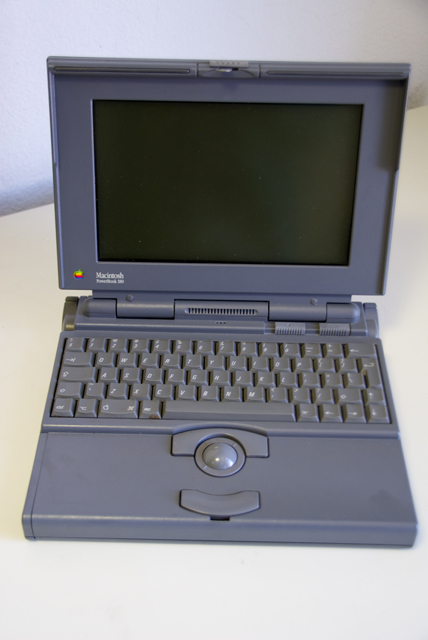 With a 33 MHz CPU and improved screen, it replaced the PB 170 and was in very high demand through its life. 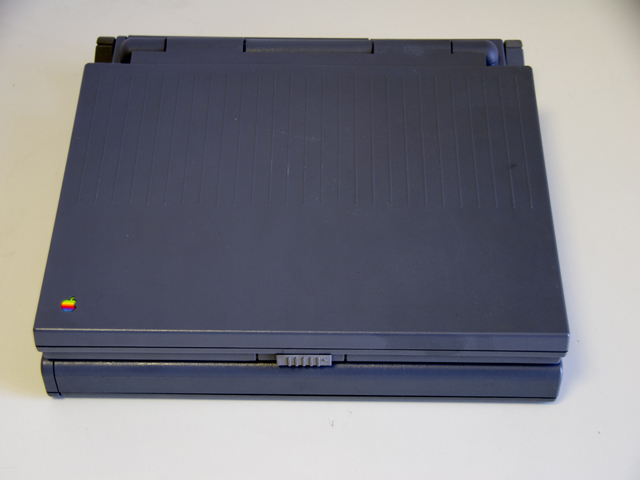 Like the PB 160, the 180 has a video out port supporting an external 13" to 16" monitor. 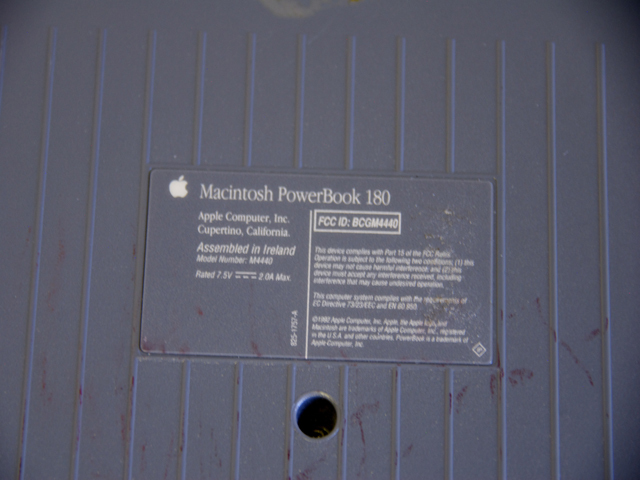 With the PB 160, it was the first PowerBook to support more than 8 MB of RAM. 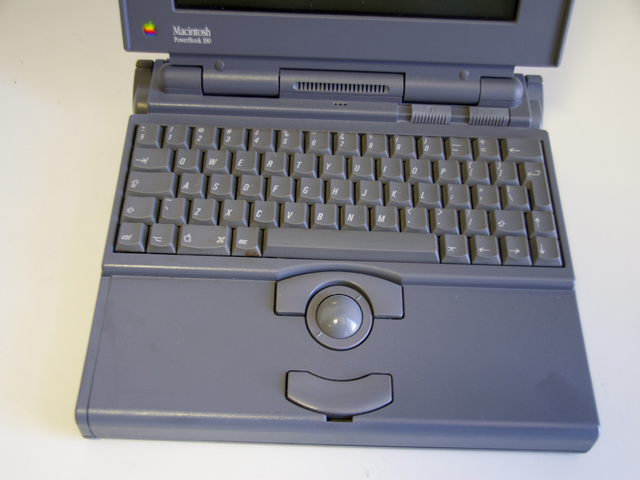 A real powerhouse of a machine, the 180 (in either grayscale or colour version) was everything that even the most demanding of users could ask for. It was fast, it looked great and it really did justify its relatively high price tag.